The Little Richard biography is the story of the man who claims to have invented rock and roll - and might just be right. His absolutely unique vocal styles are unmistakable, and his music inspired not only some of music's biggest names but also a whole generation. Born Richard Wayne Penniman on December 5, 1932, religion and music were a part of Little Richard's life from the beginning. From early childhood, he performed shows in his Macon, Georgia hometown with his parents in a singing group called the Penniman Family Singers. He attended both Baptist and Pentecostal churches with his parents and grandparents, and the music in both churches inspired Penniman to take up the piano and delve more deeply into music. He also enjoyed the dancing and speaking in tongues in the Pentecostal church. By age 10, he was acting as a healer in the church. Penniman was also getting a reputation for his distinctive singing style and piano playing in the region. Initially, both his musical and flamboyant fashion inspiration came from 1940s gospel music, but during his teen years, he began to experiment more and more with the emerging boogie woogie and R&B genres. By 18, he was playing secular music almost exclusively and had landed his first record deal with RCA Camden. Penniman's initial recording career with RCA, then Peacock, and finally Specialty Records was lackluster. At the time, he was a sought after live musician, but the songs he was recording were different from his live show. One night at the studio, to kill time, he broke into a verse of Tutti Fruitti, a staple of his live set. The label was immediately taken with the song and encouraged Penniman to mine his live set for material for his records. It proved to be the right call. Tutti Fruitti topped the charts, and over the next three years, Penniman released 16 more singles, seven of which reached the top of the charts. His success caused a significant amount of upheaval. Penniman's sound formed the foundation of the new rock and roll genre, effectively ending R&B's grips on the charts, but racist groups across the south lobbied heavily to have Penniman's music - and the music of those he inspired, including Elvis - banned. It was also during this time that Penniman engaged in behavior that is now lore in the music industry. In 1957, while flying to Australia at night, he was spooked by the red glow of the engines on the plane. The next night, he saw the Russian satellite Sputnik streak across the sky, which further alarmed him. He changed his return flight from Australia to the U.S., and the plane he was initially booked on crashed. He took all of these things as signs that he should give up secular music and his lifestyle and return to the church. During this time, Penniman recorded gospel music, became involved in religious charities and became an ordained preacher. In 1962, Penniman's career was all but over in the U.S., but the UK was still interested in American rock music. He was booked to open for the The Beatles. He started his set by playing gospel tunes, but the crowd demanded rock and roll. He ended with some secular songs and a standing ovation. 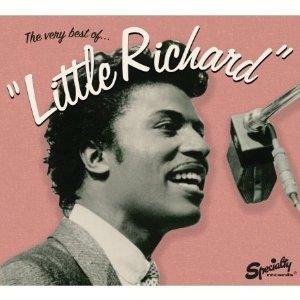 It was a turning point in the Little Richard biography and marked his return to secular music. Although Penniman played with some of the biggest names in music during the 1960s (Jimi Hendrix was in his band during this time), the decade was filled with struggle. He never achieved the same level of success and faced resistance from two camps. First, religious groups, angered that Penniman had turned away from gospel music, successfully lobbied many radio stations to boycott his records, particularly in the south. Second, after the rise of the Black Panther party, Penniman was offered opportunities to play at shows for black only audiences. He refused to play for a segregated crowd and experienced a backlash from members of that music. In the 60s, Penniman also returned to a lifestyle of drugs and partying that lasted until the mid-70s. After a violent confrontation with a friend over a drug debt, Penniman again gave up secular music and returned to the gospel and the church. Since the mid-70s, Penniman has managed to meld his commitment to the church with his love of secular music. He travels the country preaching as well as performing his rock hits. Despite a hip replacement surgery, he continued to tour through the early 2000s.